You are currently browsing the archives for the Hawk/Lindberg category. 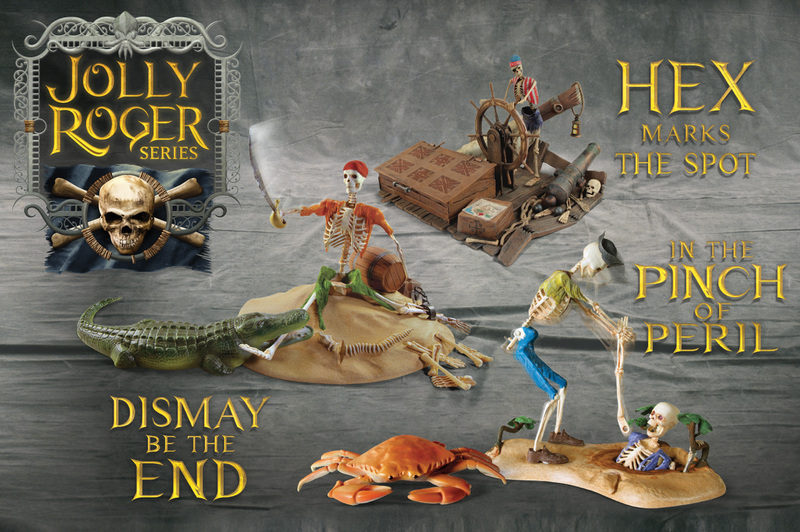 Lindberg Model kits: Jolly Roger Series: 2nd & 3rd Releases! 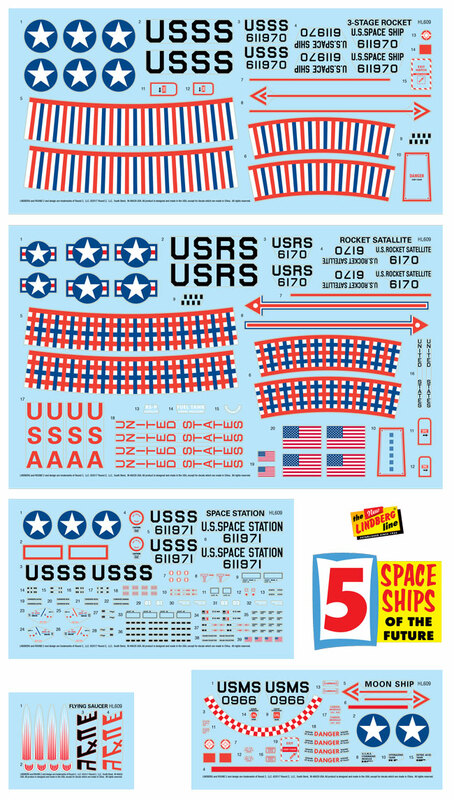 Lindberg welcomes 2 more 1:12 scale figure kits aboard Jolly Rogers. 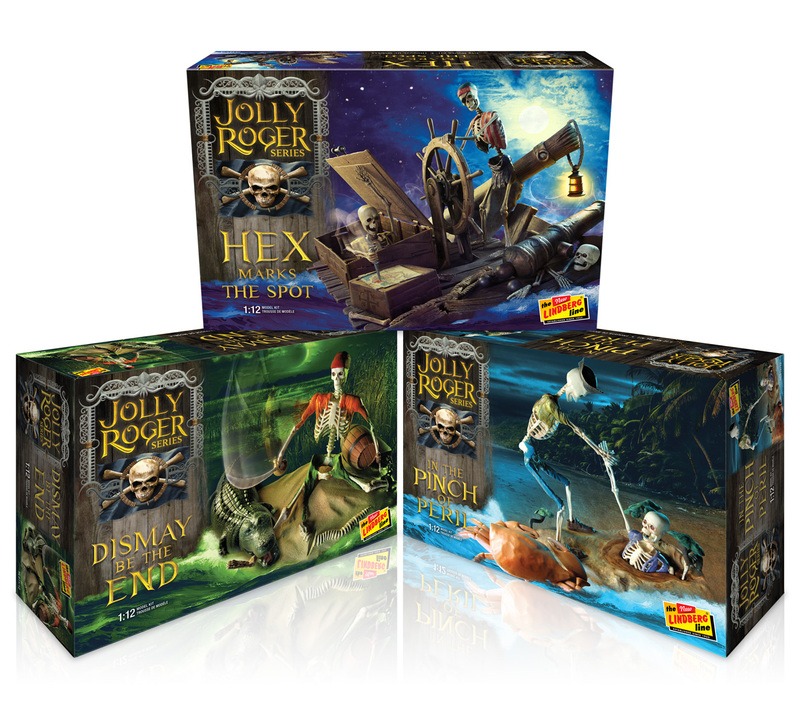 Because of the popularity of last year’s of the Jolly Roger Series: Hex Marks The Spot, not only will we be doing a second run but we are also releasing the next 2 in the series: Dismay Be The End and In The Pinch of Peril. 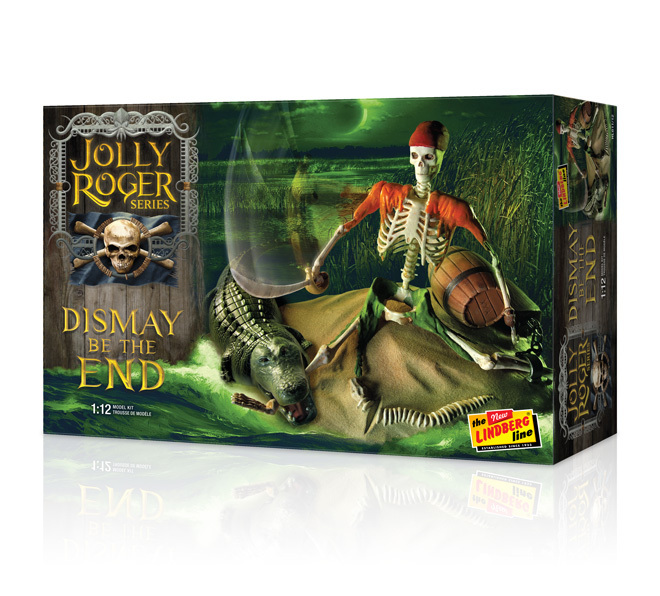 Each kit portrays a skeleton pirate posed mid struggle within a beautifully detailed scene. 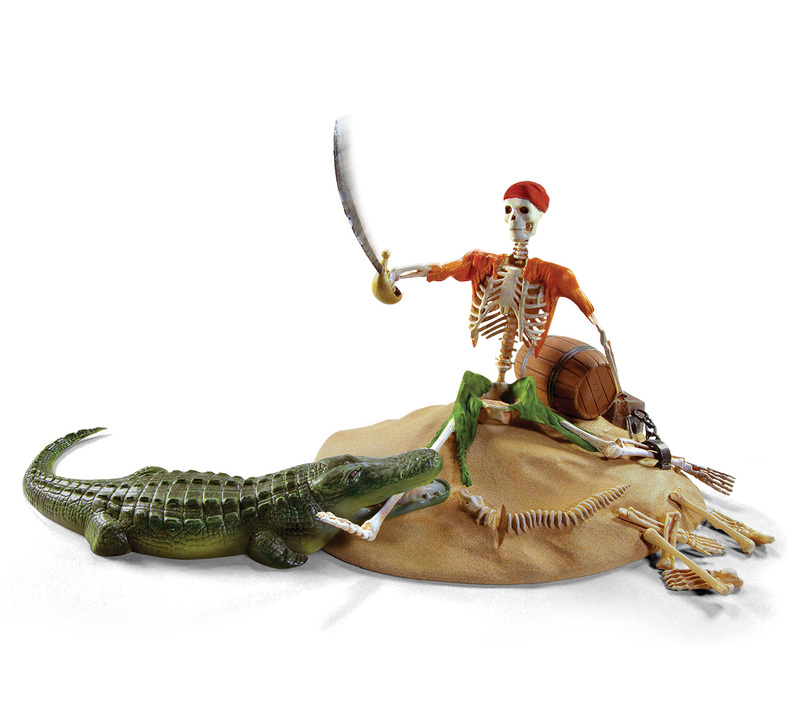 Abandoned by his crew and shackled to a stone, he was left as gator bait for “Dismay Be The End”. 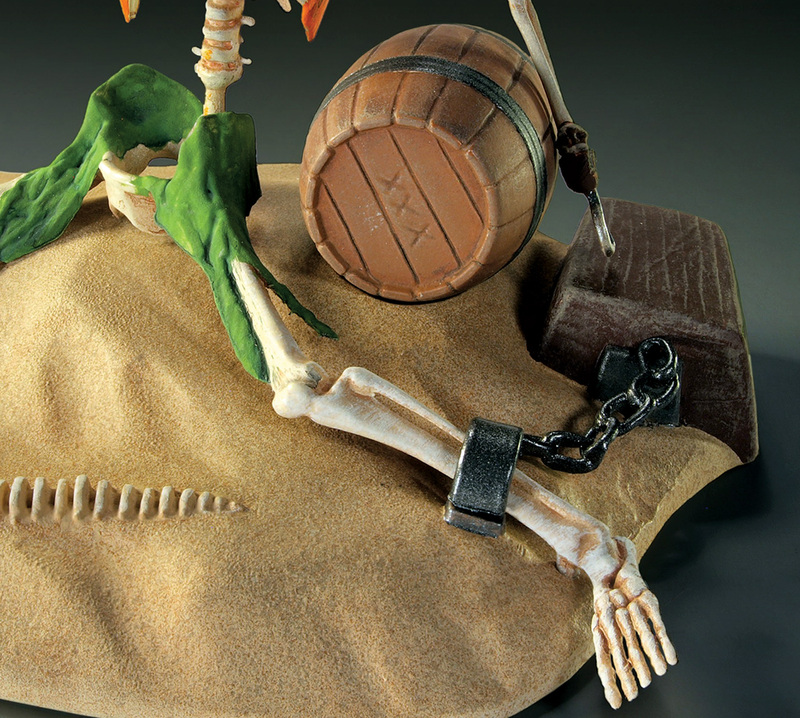 The pirate skeleton sits on a mound of sand, chained to a rock, guarding a barrel of grog. 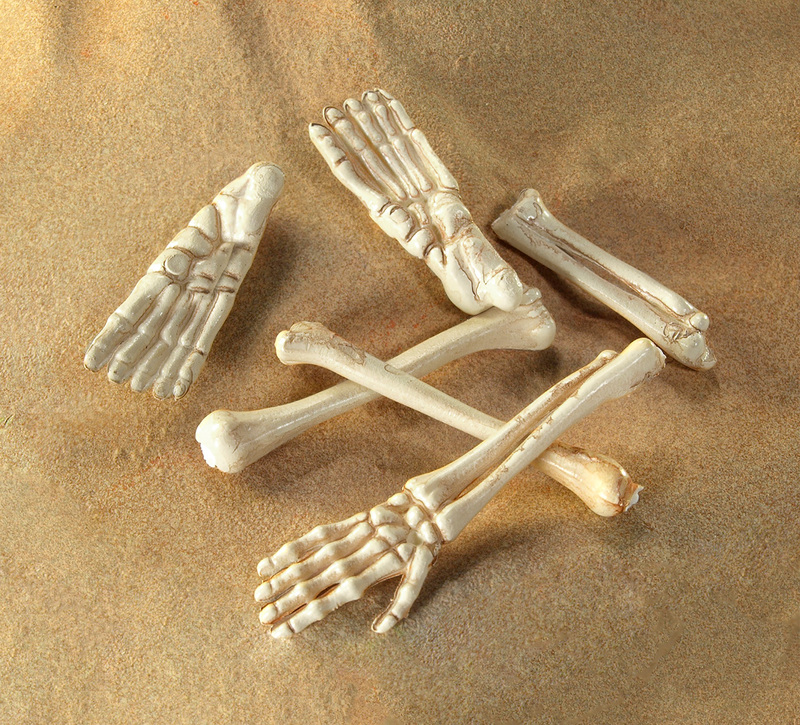 Strewn around him are bones and the remains of some creature. A hunger alligator is lunging for his leg. A rubber band powered sword chops at the furious beast. 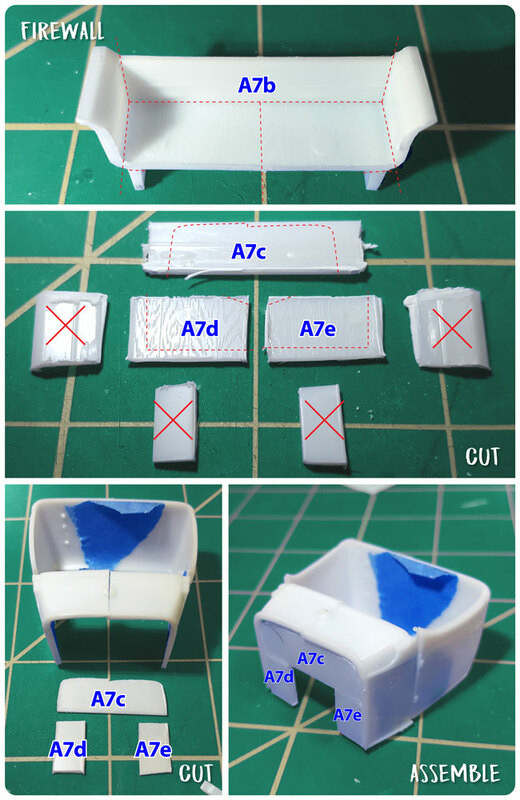 The kit sits at 5″ tall and 10″ wide. Bonus 1:1 pirate coin and medallion are included. 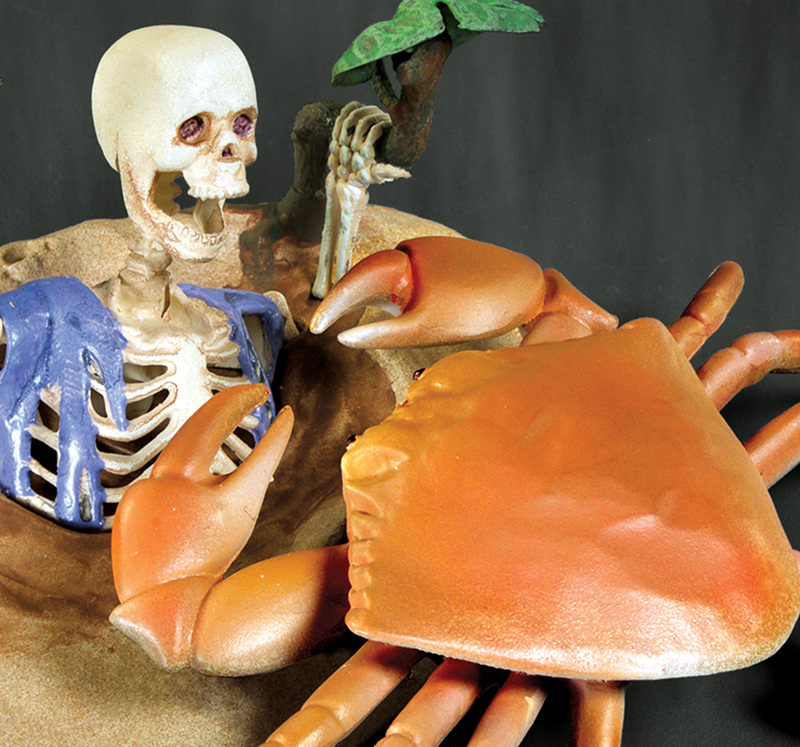 As the sand pulls him deeper, a giant crab is looking for a bite. He has found himself “In The Pinch of Peril”. 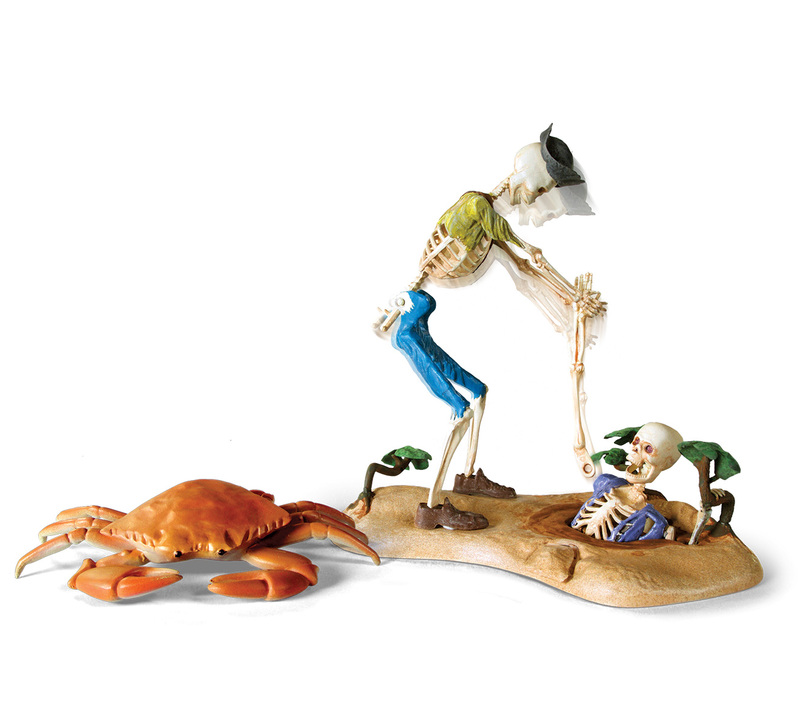 The seconds skeleton tries to pull him free, but instead pulls his arm out of the socket. 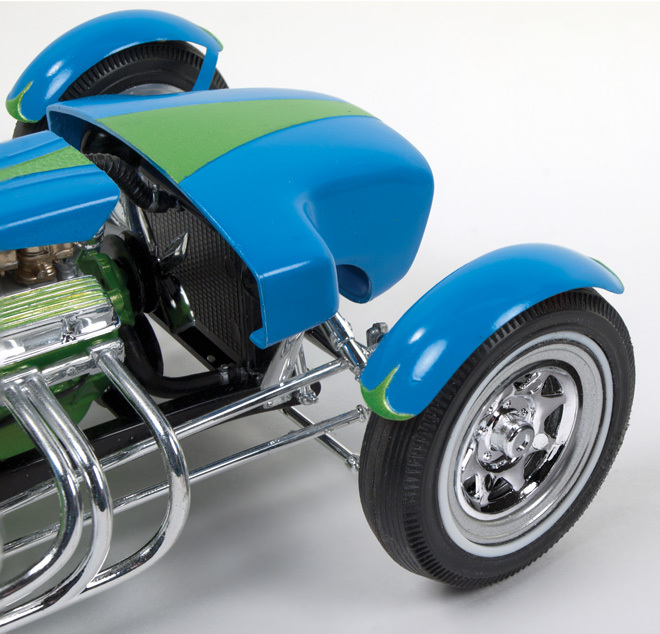 The kit sits at 6″ tall and 6″ wide. 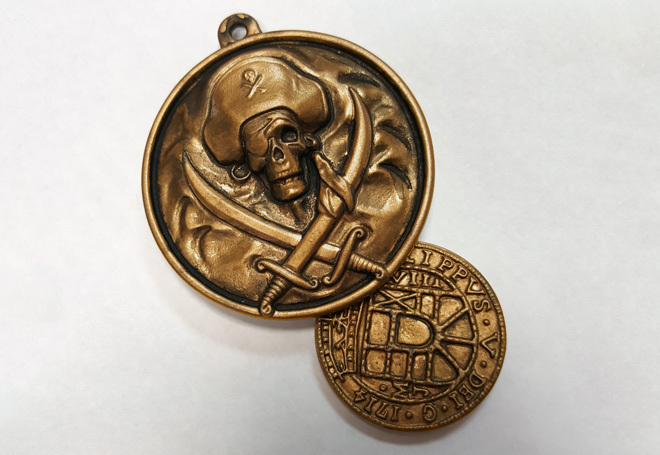 Bonus 1:1 pirate coin and medallion are included. 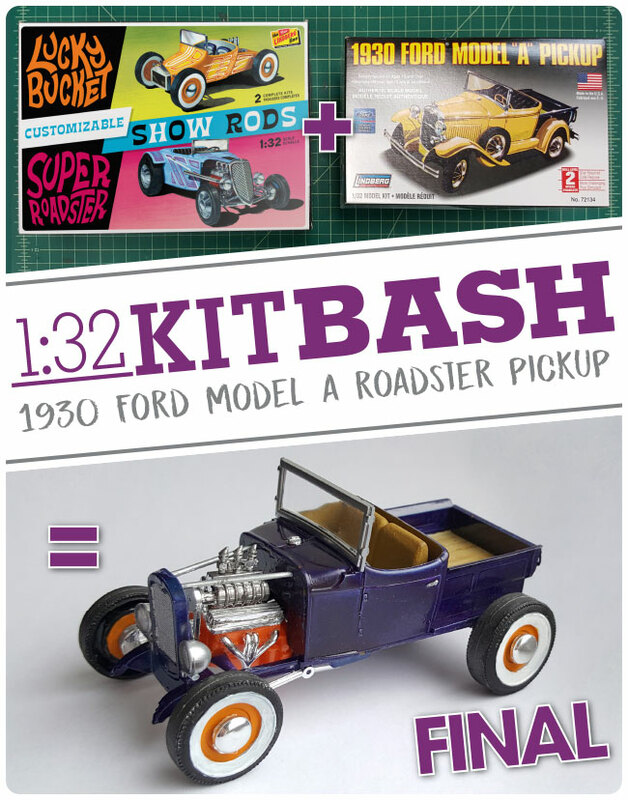 This is the 3rd and final part of an illustrated history of the Lindberg’s Mini Lindy line based on found images, catalogs and info from some modeling sites. 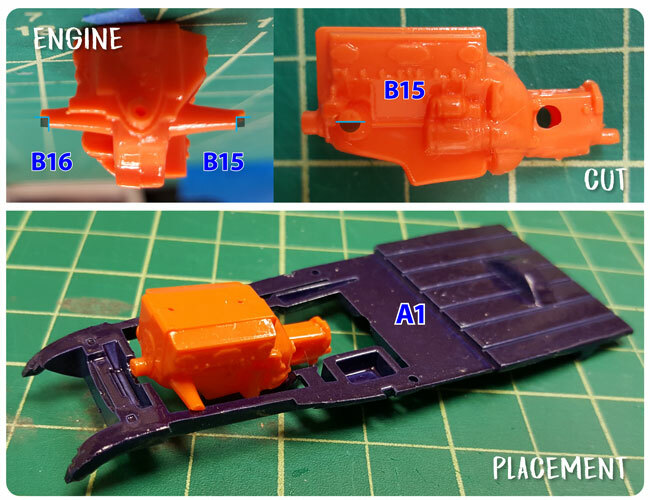 In 1980 4 more garage kits were made under the Truckin’ Big series. 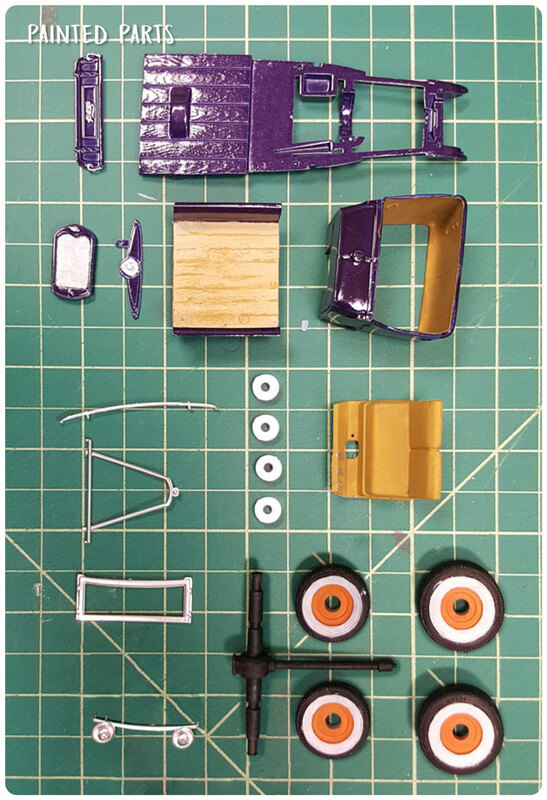 All new tractor trailer kits were made in 1982. 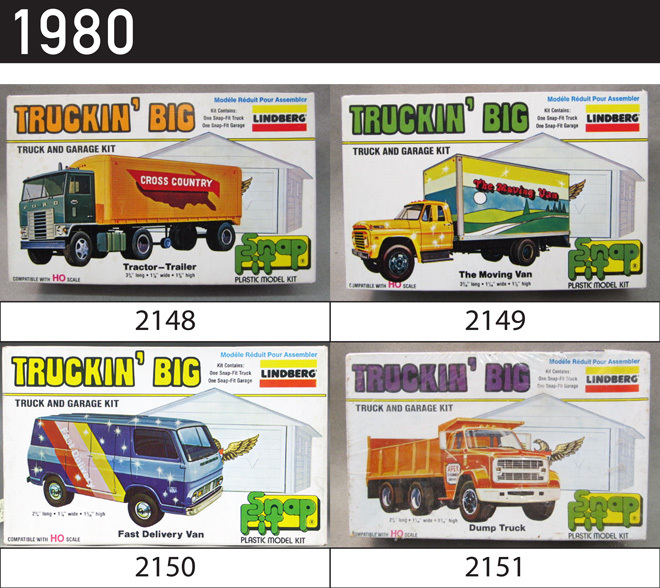 A mix of 2 semi-trucks (GMC Astro & Ford CL-9000) and 4 trailer variations made up the 8 releases. The first 4 in these series were reissued in slightly different packaging at some point before 1987. 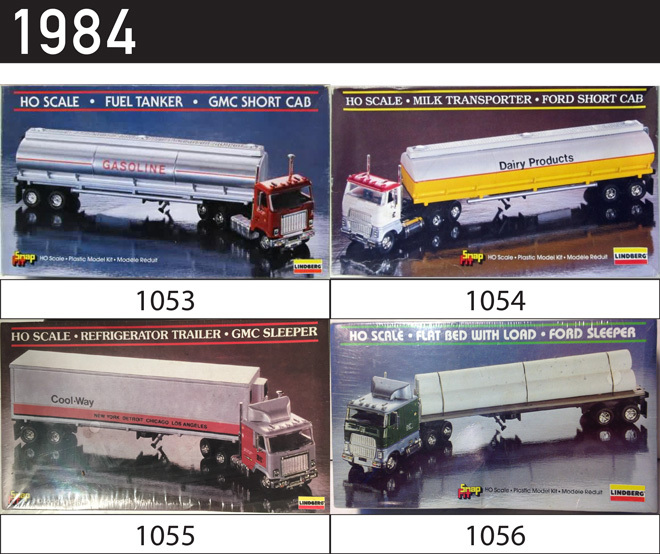 In 1984 the addition of a tanker trailer lend itself to 4 more truck kits. 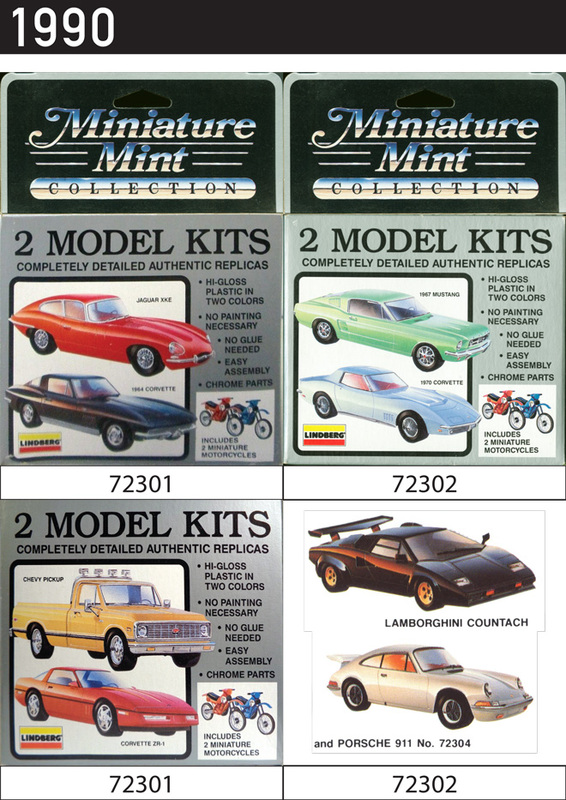 In 1990 the Miniature Mint Collection 2-packs were introduced. 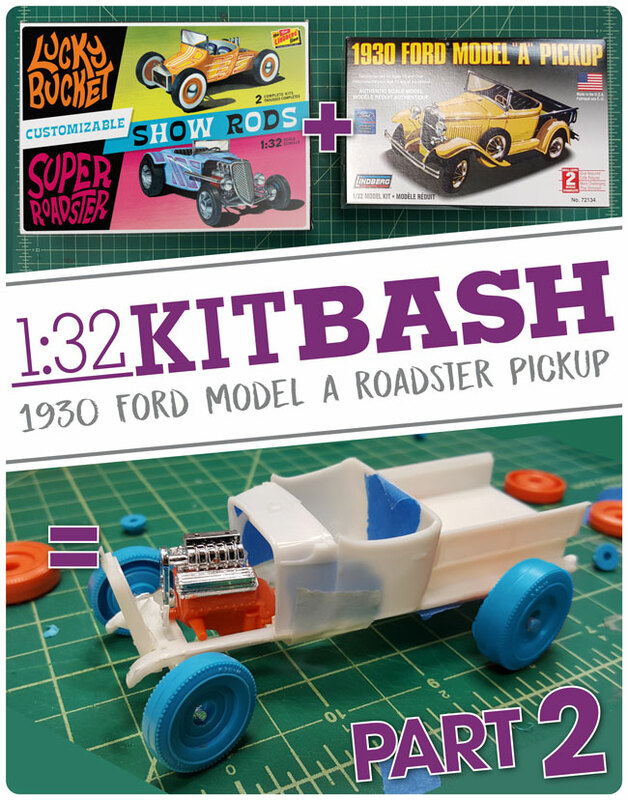 The 1990 catalog showed 6 kits, No. 72301-06, showing 8 previous cars and 4 new ones. Ultimately only 4 of the 6 two-packs were released. 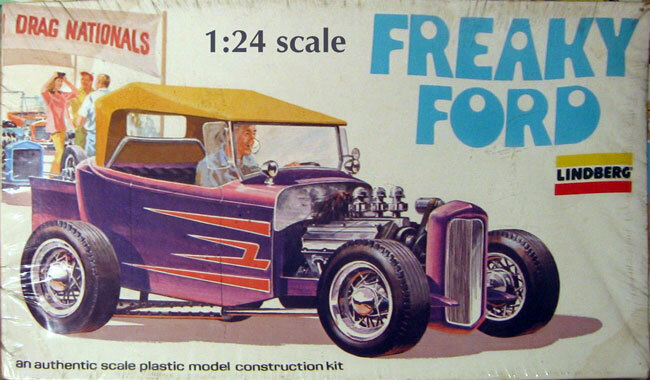 In 72303, the 1932 Ford was replaced with the newly-tooled 1990 Corvette ZR-1. 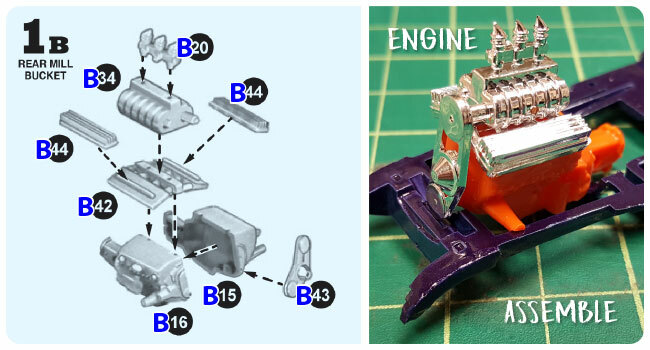 In 72304, the MG-TD was replaced with the newly-tooled Lamborghini Countach. 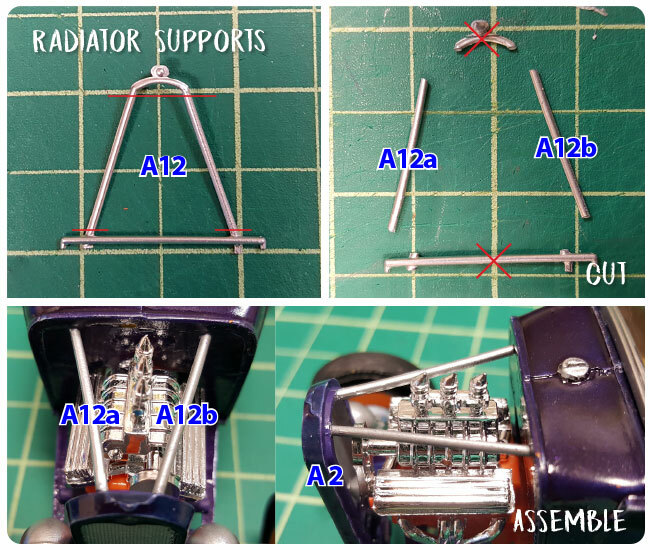 From what I can tell the 1990 Camaro Z28 and the Ferrari Testorossa were never tooled. 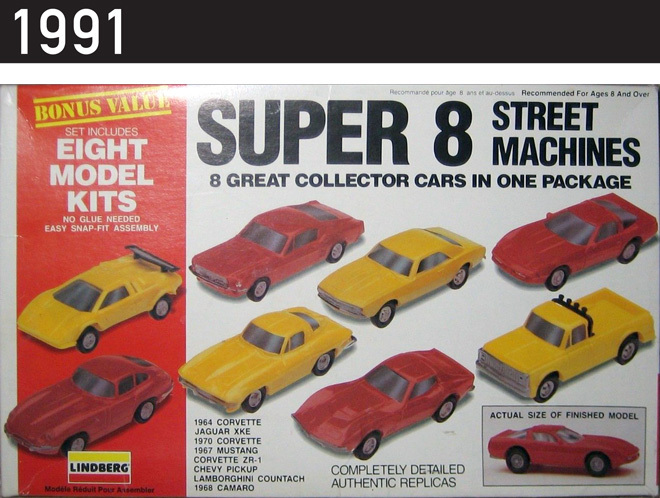 The final Mini Lindy release was the Super 8: Street Machines in 1991 feature 8 cars: 1964 Corvette, Jaguar XKE, 1970 Corvette, 1967 Mustang, Corvette ZR-1, Chevy Pickup, Lamborghini and 1968 Camaro. Some of the dates and images were found on these fantastic sites…. Commenters let us know……Should we bring these back? 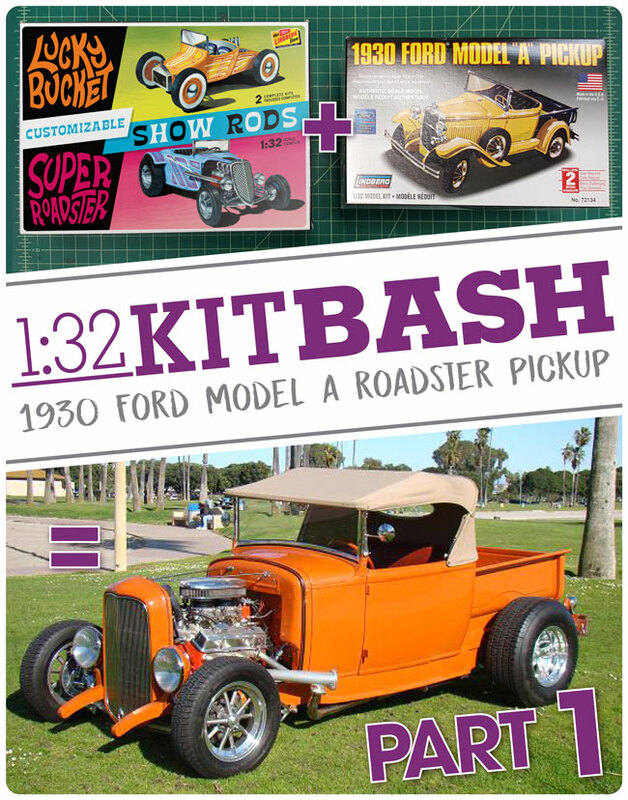 What kits do the modelers want to see? 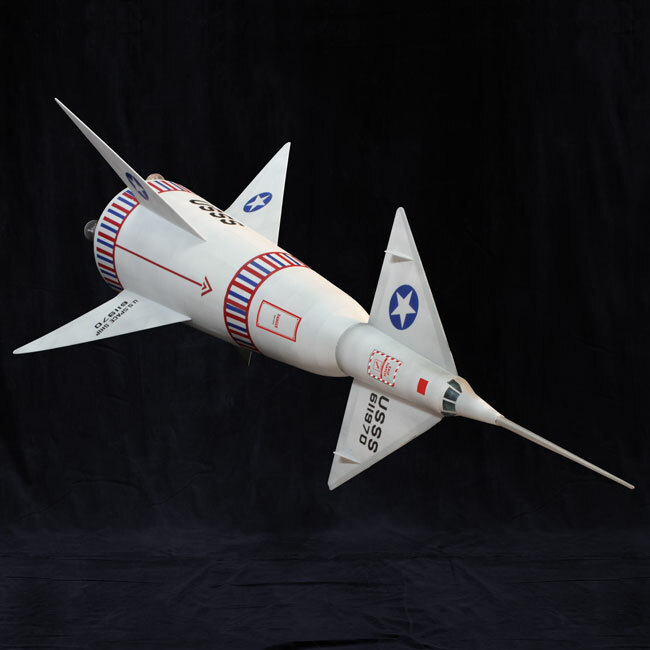 This is part 2 of an illustrated history of the Lindberg’s Mini Lindy line based on found images, catalogs and info from some modeling sites. 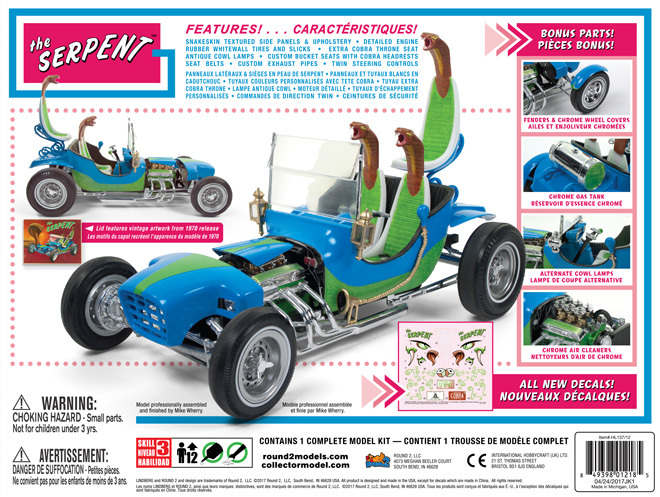 In 1970 the existing kits from the 60s were rereleased with new packaging and item numbers; 8 under the name 1971 Hot Shot and 8 under the name Mod Rod which included psychedelic flower decals. 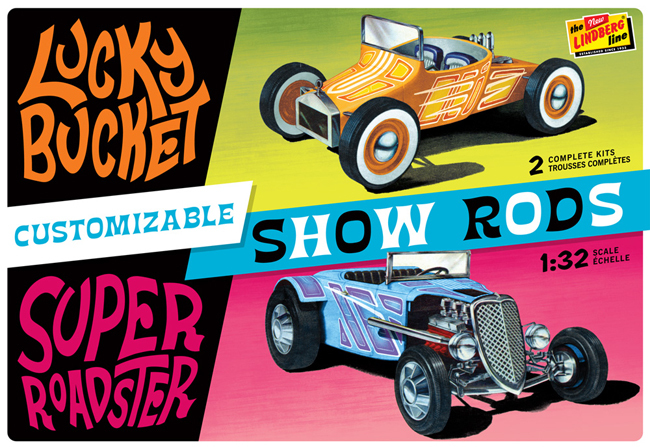 Other Mod Rod versions of previous cars were made available though a mail-in promotion; they came in plain boxes but included Mod Rod decals and instructions. 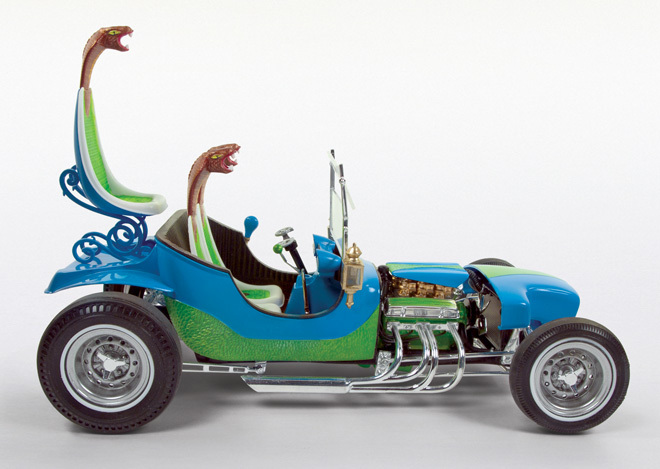 These included the Porsche Carrera, the “1971” Corvette, the Ford Mustang, the Jaguar XKE and probably more. 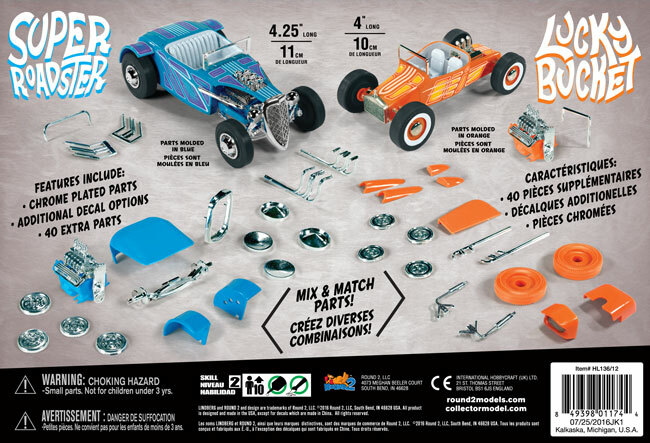 In 1971 8 of the original trucks were rereleased under the name Big Wheels. 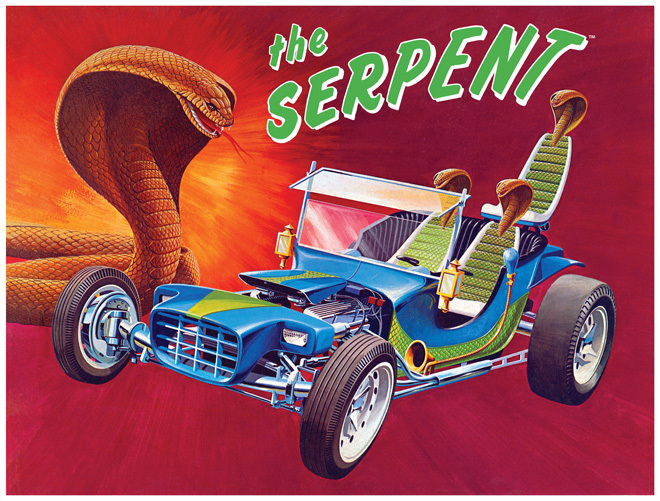 That same year seven new cars were released under the name 1972 Super Sport. 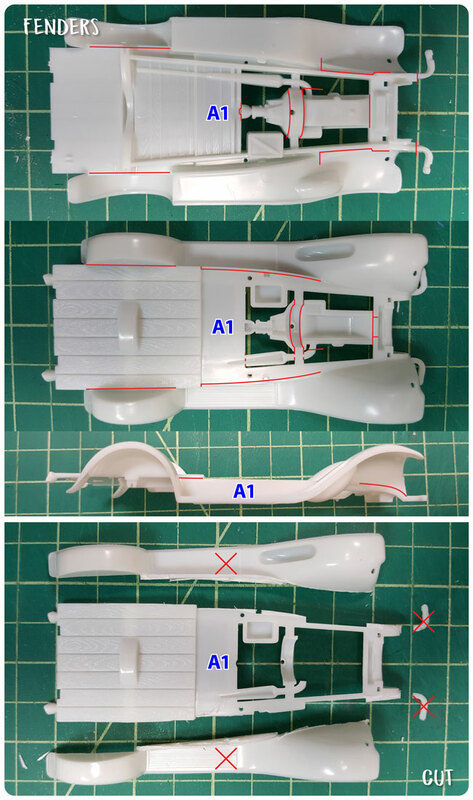 The ’68 corvette was included to round off the 8. 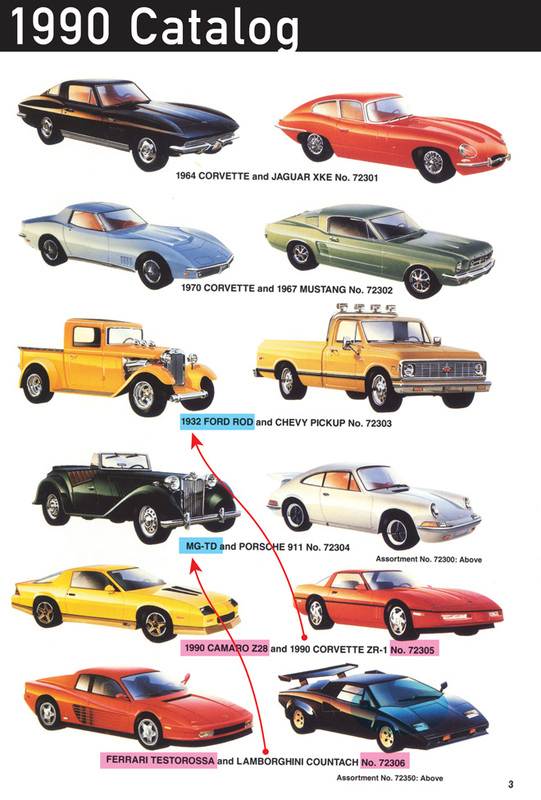 New cars included the Cadillac Eldorado, Lincoln Continental Mark III, Chevrolet Vega, Buick Riviera, Gremlin, Monte Carlo and Pontiac Grand Prix (in catalog as Grand Ville). 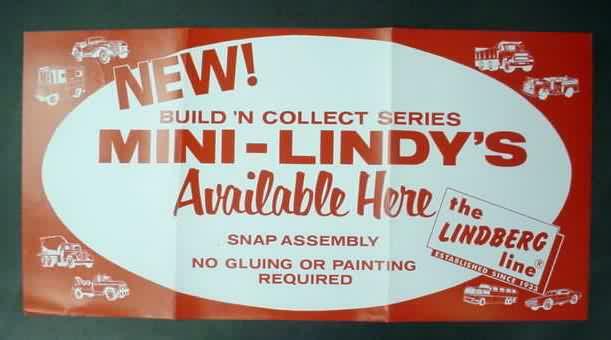 The Super Stock series are some of the more difficult to find Mini Lindy kits. One interesting thing to note is that the Pickup Camper was a Ford now it is a Chevy. 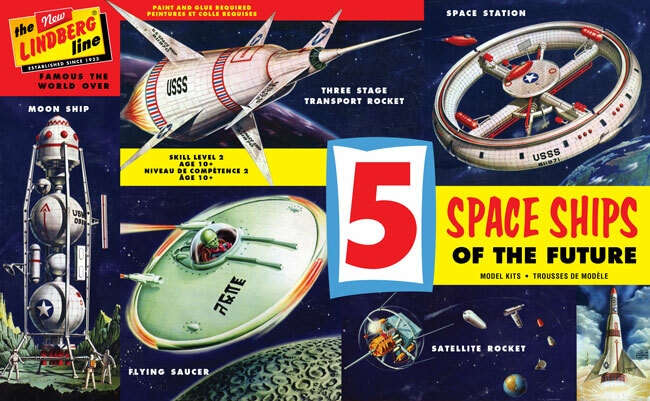 The box art is the same as the 1960s but has been altered slightly. 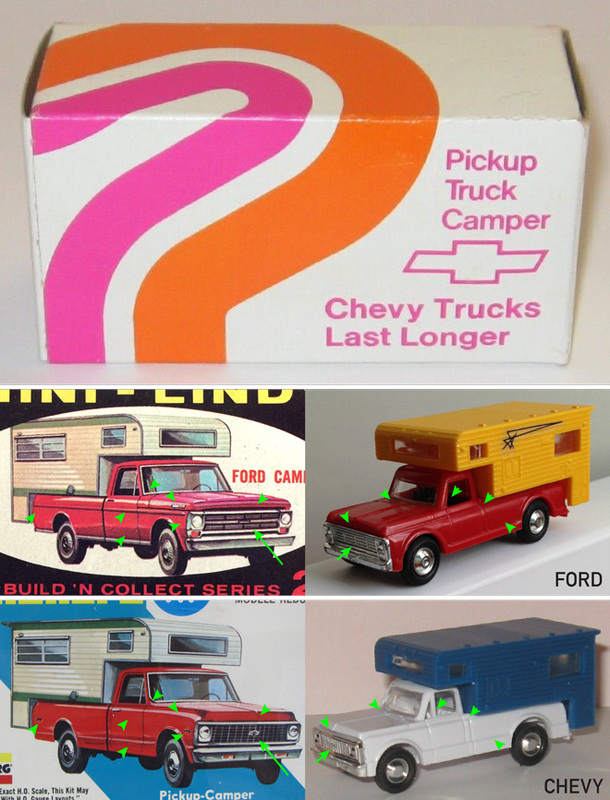 I believed the pickup was altered for a dealer promotion, because the Camper can be found in pink & orange striped Chevy promo boxes. 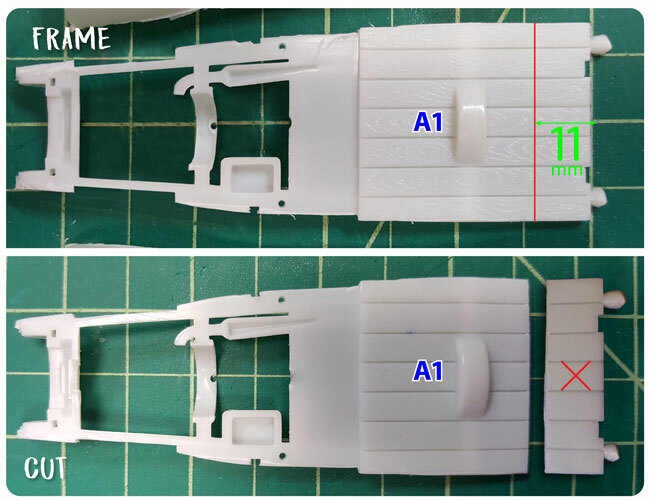 The chrome grilles look different but the bodies are similar enough that the tool may have just been altered. 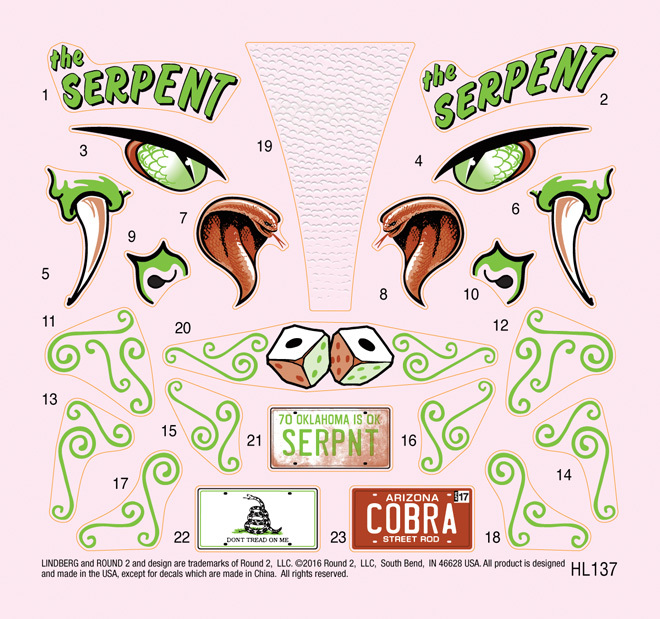 It still has the number 22 on the underside of the body. 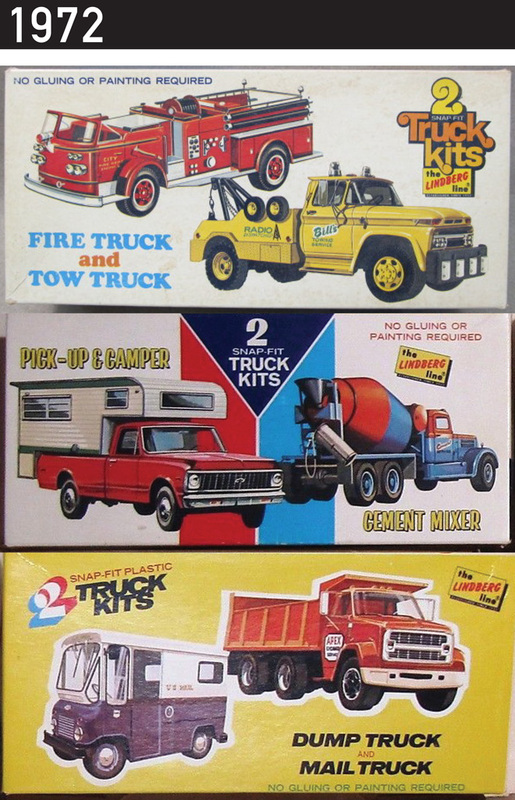 In 1972 some of the trucks were released in 2-packs. 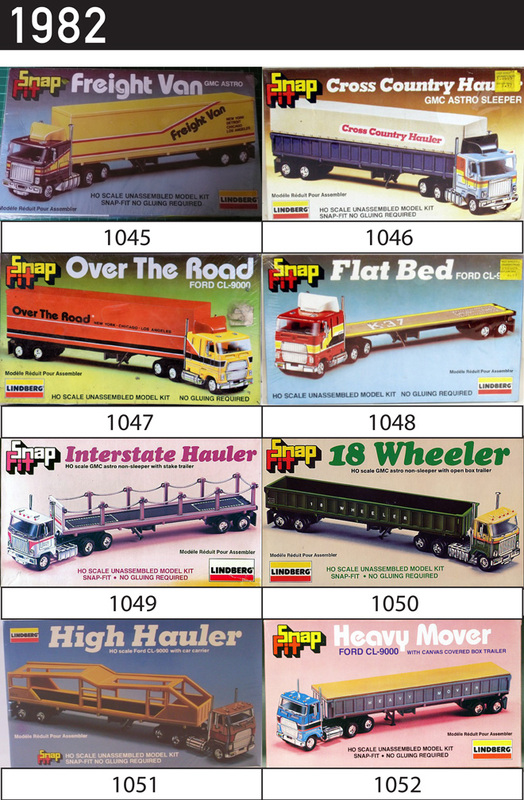 In 1975 10 trucks, vans and bus were released under the Hi Rollers series. 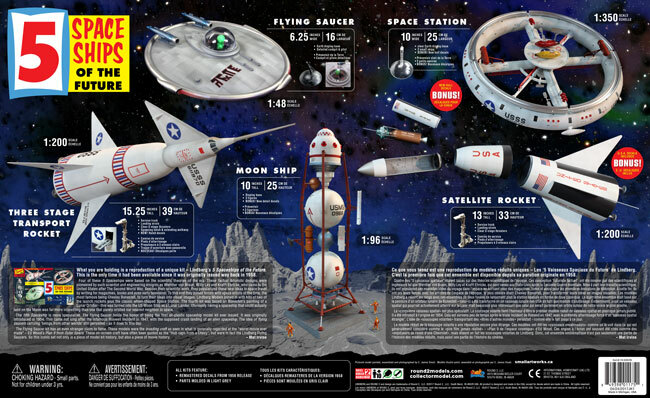 The back of the packaging showed all the releases except for the 2 buses. 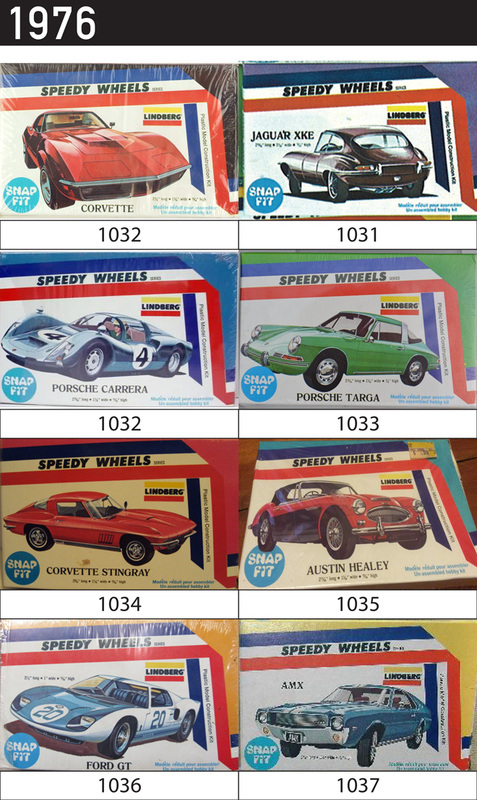 In 1976 8 cars were rereleased in the Speedy Wheels series. 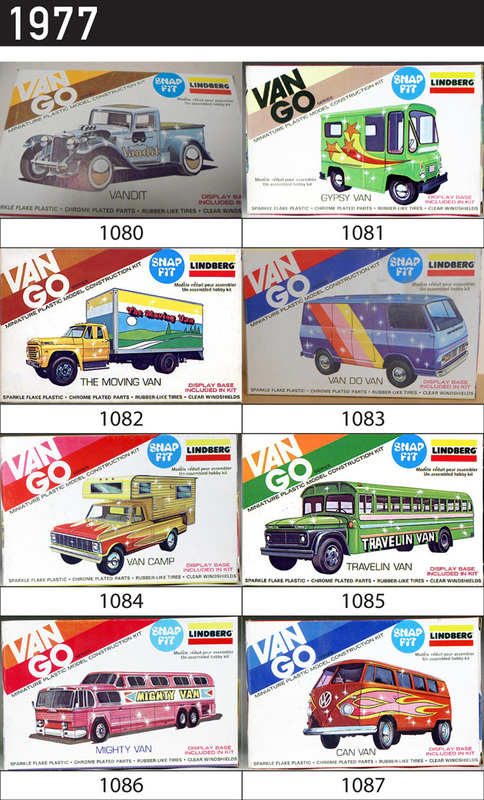 In 1977 the Van Go series added a new twist to 8 previous cars with bold graphics and glitter in the injection plastic. 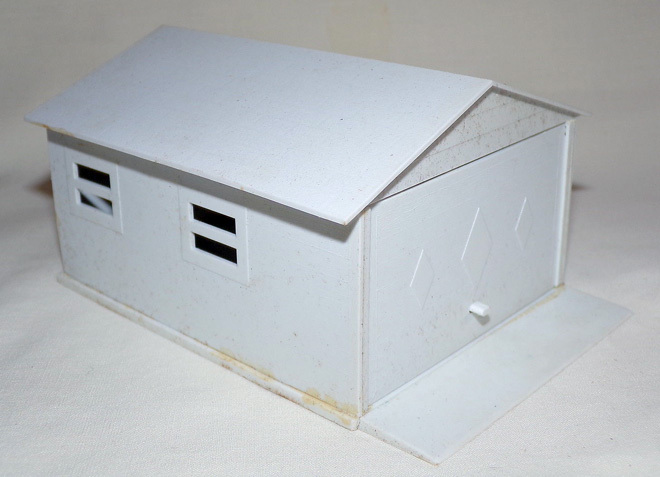 In 1979 the Car and Garage Kit series include a plastic garage with windows and an opening garage door. The Cadillac Eldorado and Lincoln Continental Mark III returned for the first and last time. Look for my next post for part 3 – the 80s & 90s. 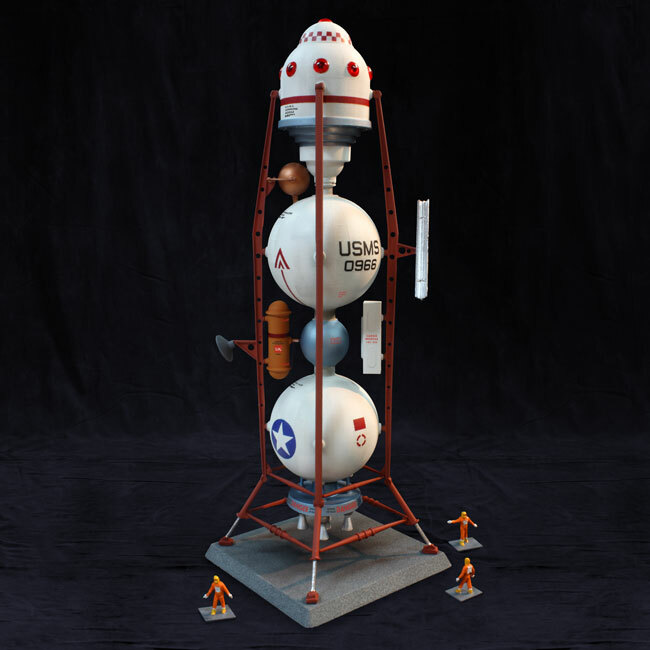 This is an illustrated history of the Lindberg’s Mini Lindy line based on found images, catalogs and info from some modeling sites. 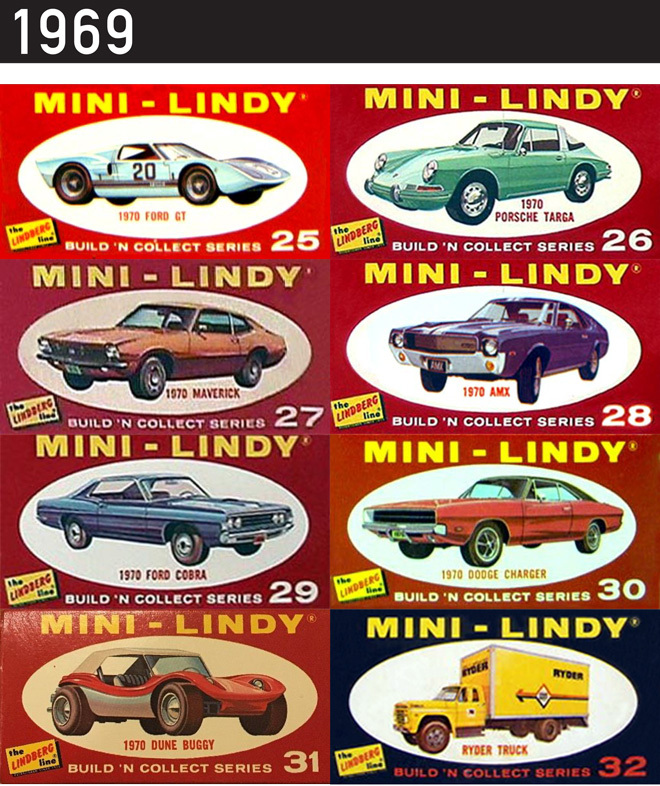 The first 24 Mini Lindy cars were produced between 1967 and 1968 with the first 16 appearing in the 1968 catalog. 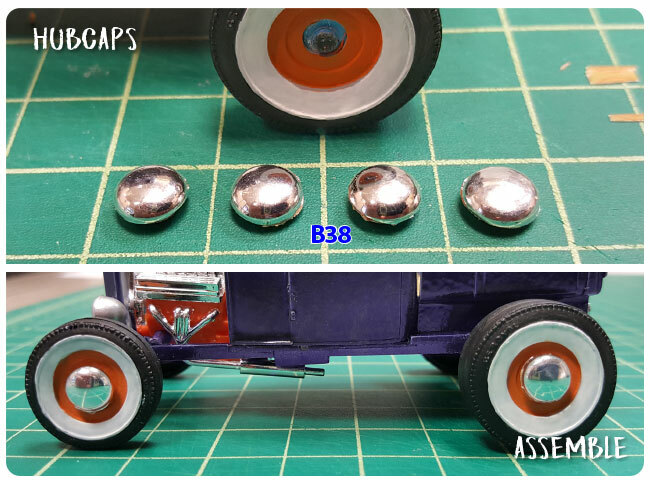 The vehicles were HO scale plastic kits that included clear parts, chrome parts, metal axles, rubber tires and a decal sheet. 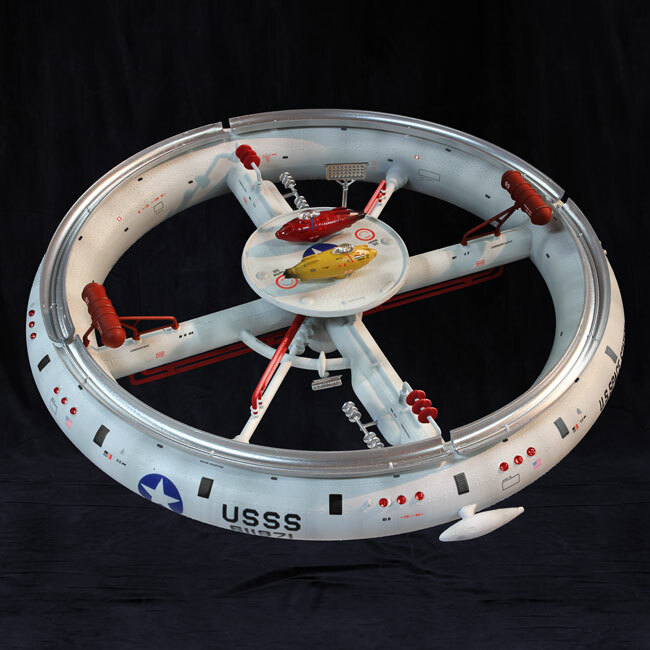 They came in black boxes with the model illustration appearing in a white oval. 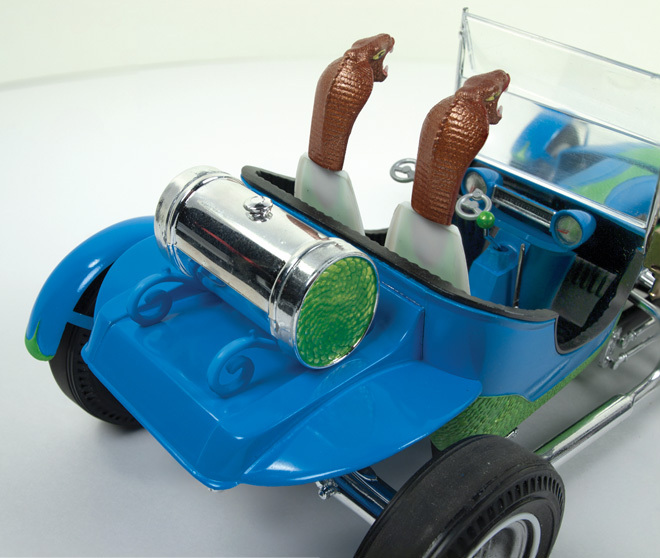 On the reverse side appeared a rear view of the vehicle. Three variations on the packaging appeared: a basic box, box with a flap for hanging and a cellophane version that was just the basic box with the back illo cut out. On the back of the flapped version was a list of kits numbered 1 to 32, though at that time only 24 had produced. The list also changed a bit on kits 17-24. 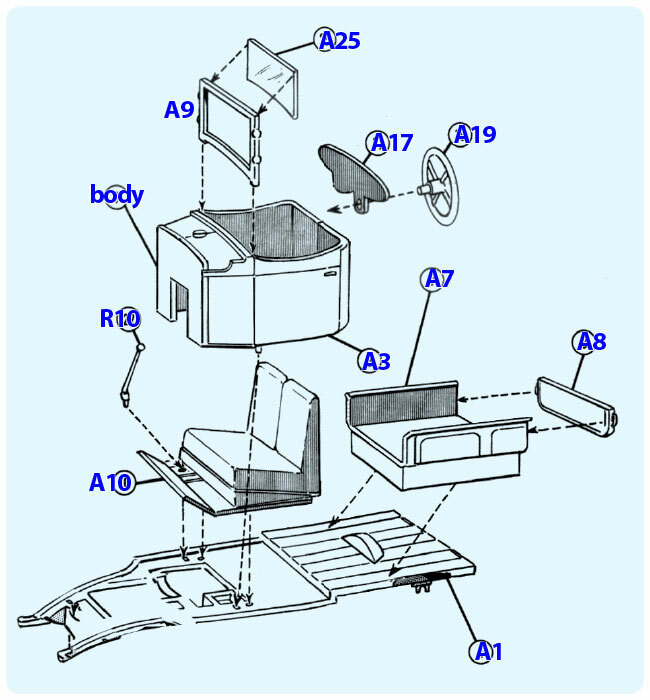 In 1969 7 “red box” kits were released; kits were numbered 25 to 31. An oddity… #32 Ryder Moving Truck appeared in a black box. Not sure of the release date but given that the kits were released in groups of 8 generally I would think this would have been released with #25-31, but I don’t know. The list on the flaps changed again to reflect the final 32 kits. 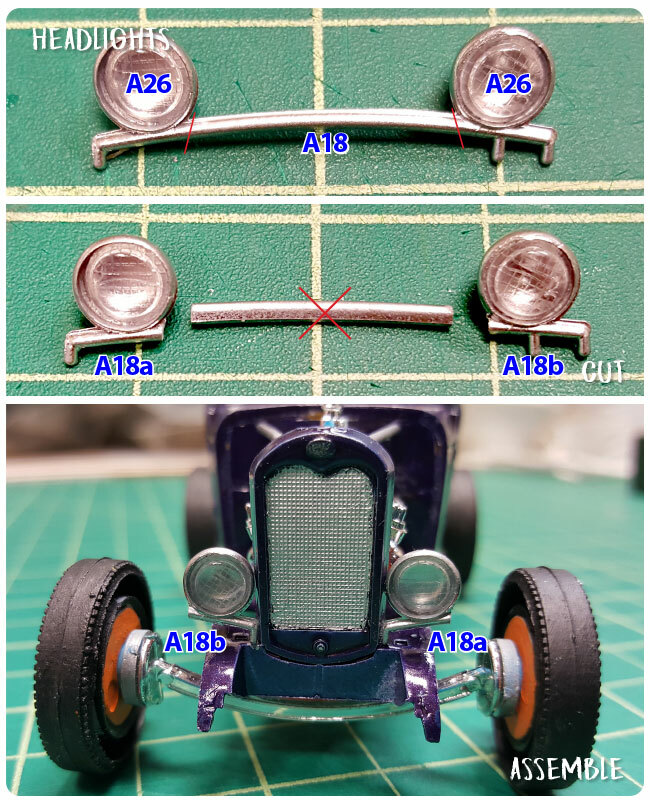 Seems as though #25 Pontiac Firebird, #28 Jaguar D, #29 Bobtail T, #31 Station Wagon Vista-Cruiser, #32 Stake Truck, and #32 Oil Truck were unproduced. 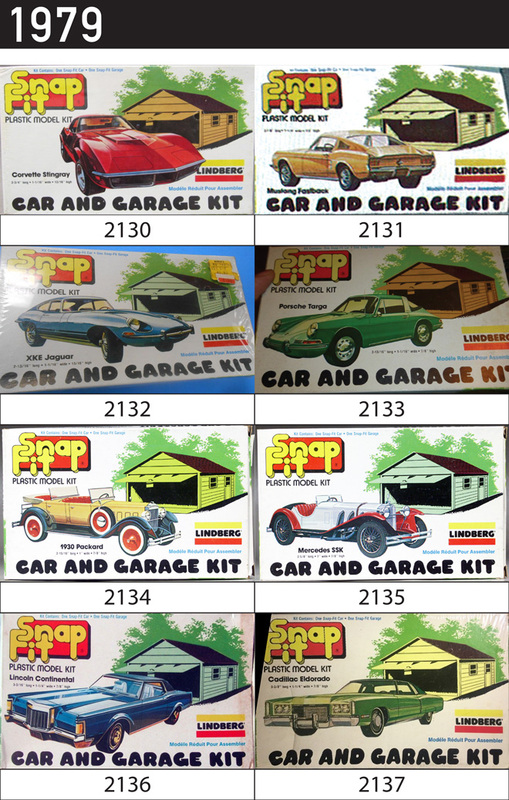 The 1969-70 catalog still only showed the first 16 kits. 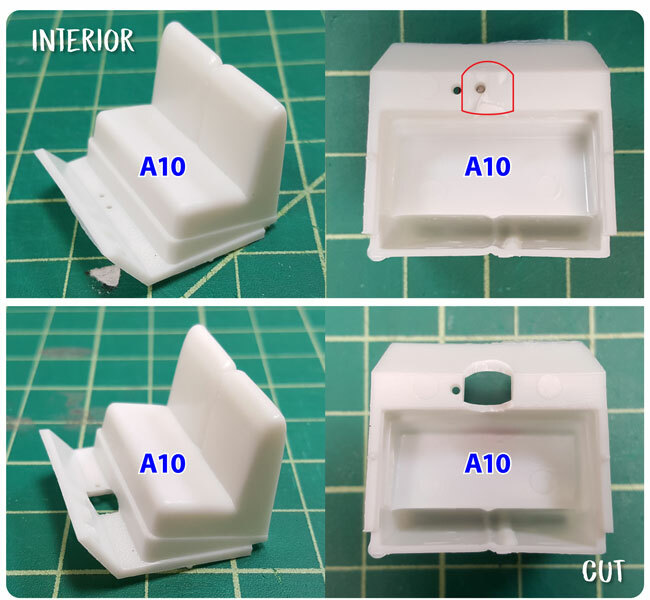 Look for my next post for part 2……. 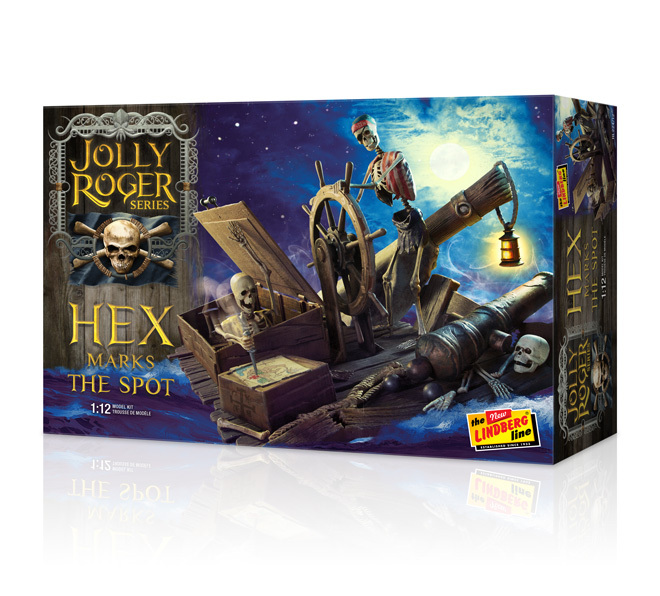 Emerging from the depths of the Round 2 tooling bank comes a new addition to Lindberg’s Jolly Roger Series. 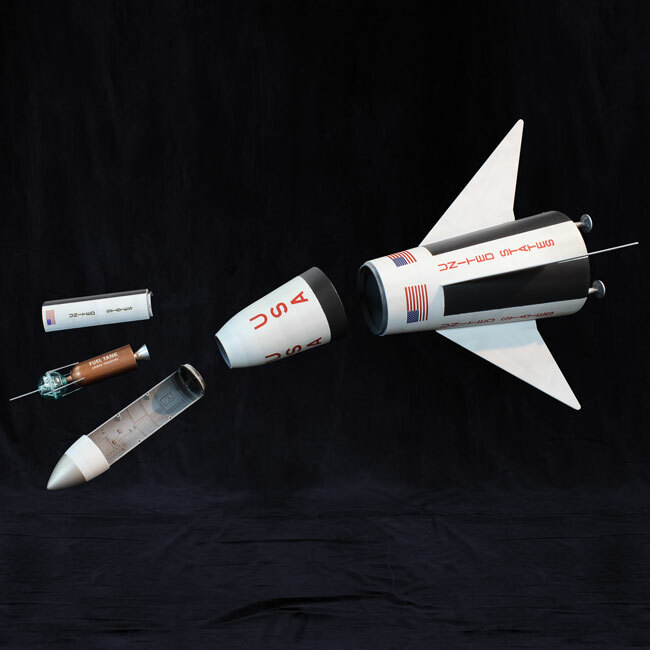 Hex Marks the Spot begins a haunting lineup of 1:12 scale figural kits. 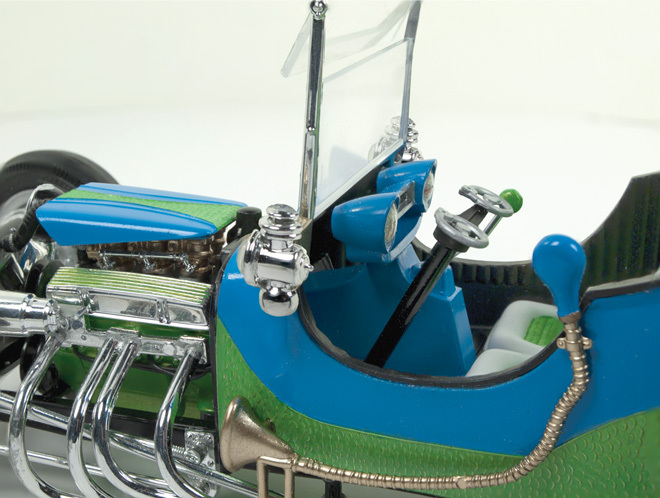 This memorable kit from 1972 stands 6 inches tall and 8 inches wide. 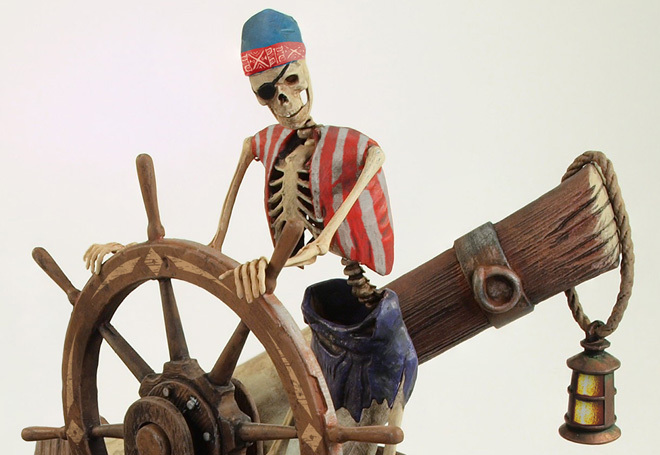 It portrays a cursed pirate captain steering his “skeleton” crew in search of a deadly treasure. 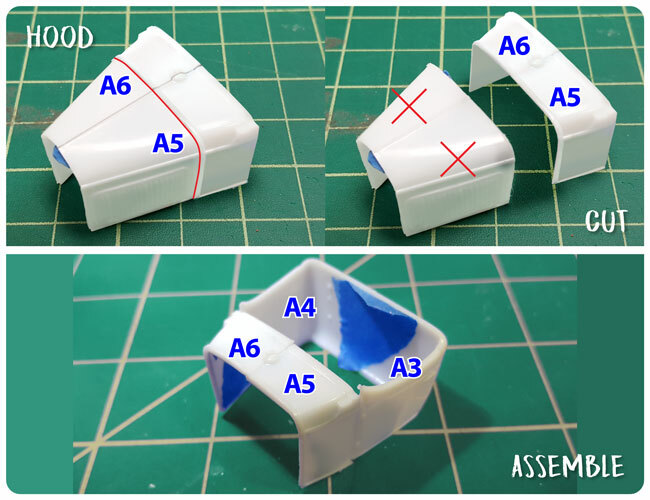 The all plastic assembly glue-together kit nearly snaps-together. 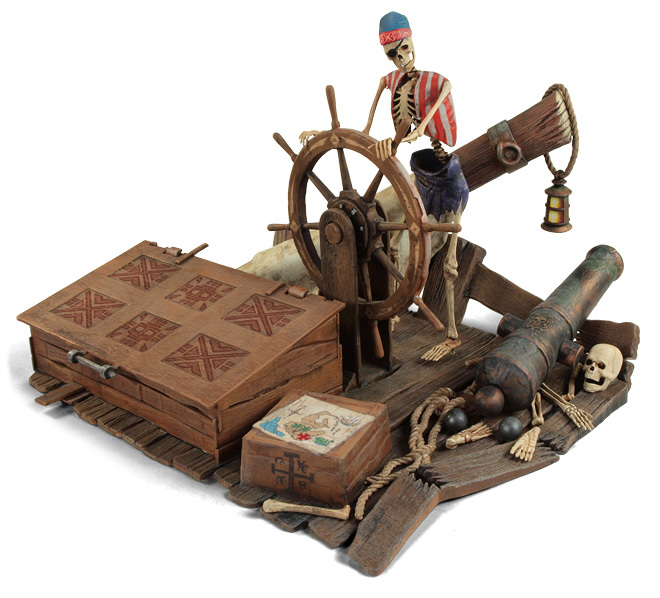 The model is highly detailed and well sculpted, featuring realistic wood-grain and weathering on the deck and crates. 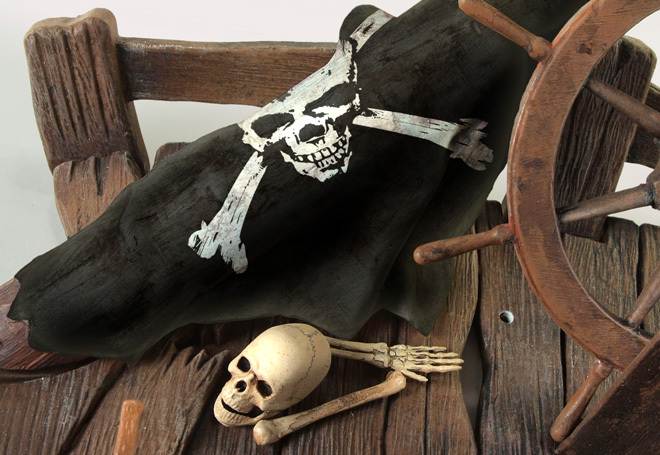 The cannon features corrosion after spending years on the dicey sea. 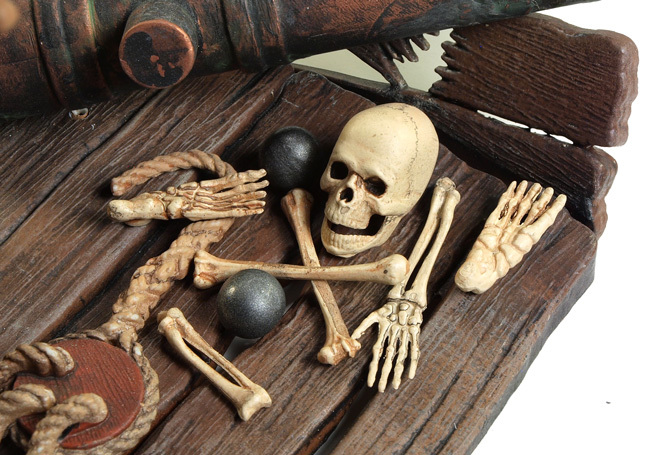 Additional details like cannon balls, a skull and bones are included to flesh out the scene. 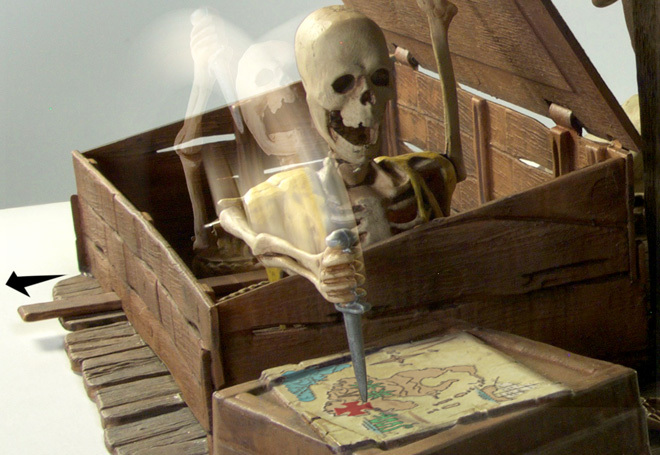 The model jumps to life when a second skeleton lunges from a crate with dagger in hand to pinpoint the location of the lost booty on the treasure map. 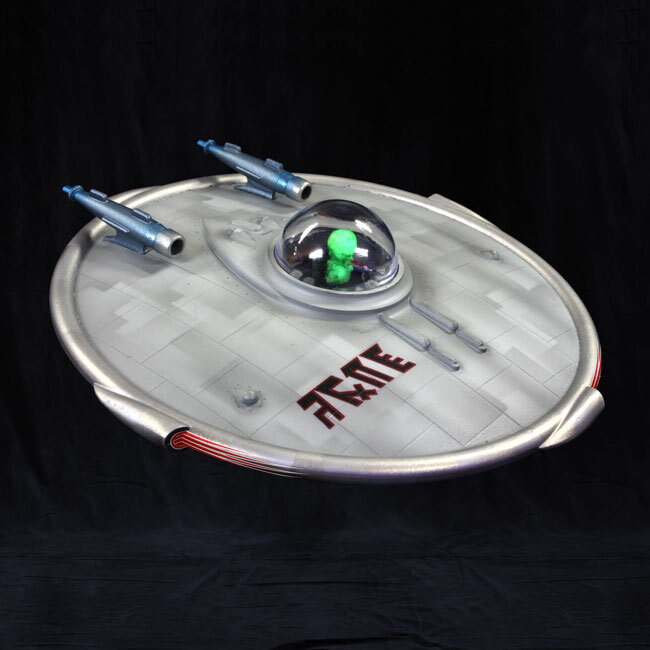 A BONUS pirate medallion and coin are also included. 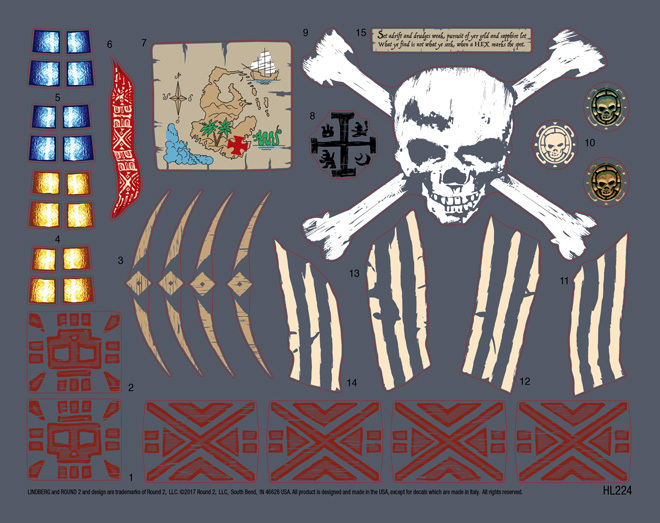 Decals include a massive skull and cross bones, treasure map, blue or yellow lantern glass, stripe detail for captain’s vest, decorative band for skull cap, royal crest for stolen crate, chest designs, multiple crests for the cannon and decorations for the ship’s wheel. The decal sheet even includes the poem above. Be sure to tell your usual retailer to reserve your copy! 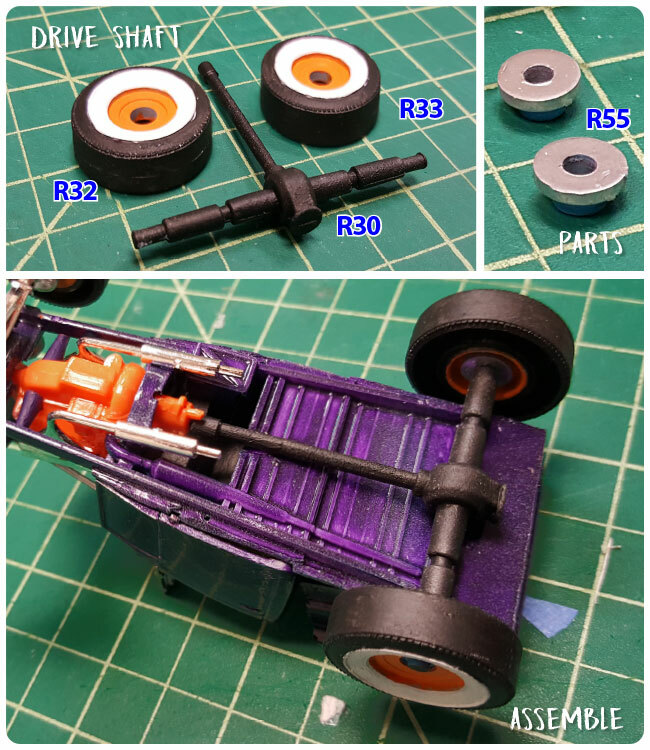 As mentioned in a previous post the Lindberg 1:32 Customizable Show Rod 2-pack will be out soon and one of the cool features is the many parts that can be used to customize the kits – 125 parts to be exact! 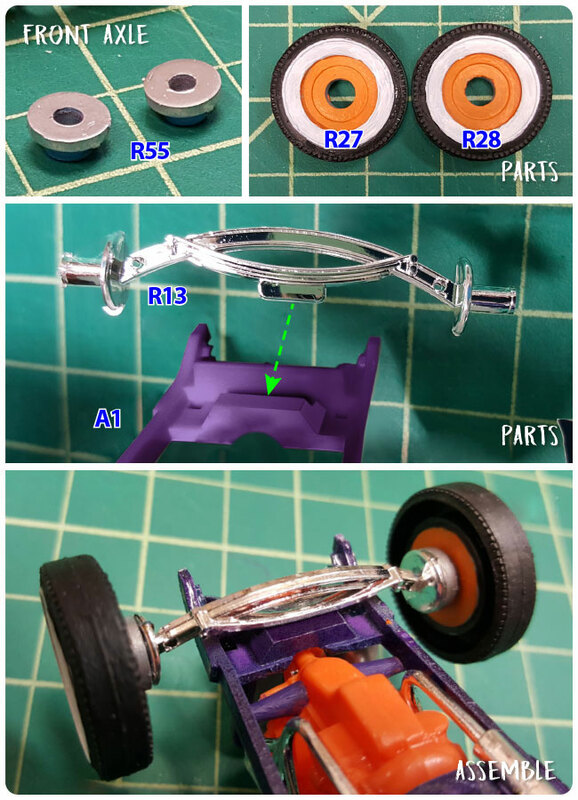 The kit includes instructions to build the 2 cars in three different ways but with the parts being interchangeable you could customize many more. 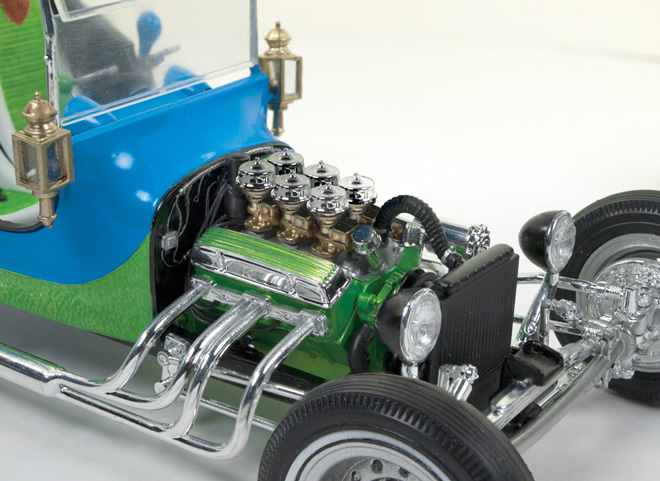 Often not seen in 1:32 car kits are detailed engines and the Show Rod kit includes 2. 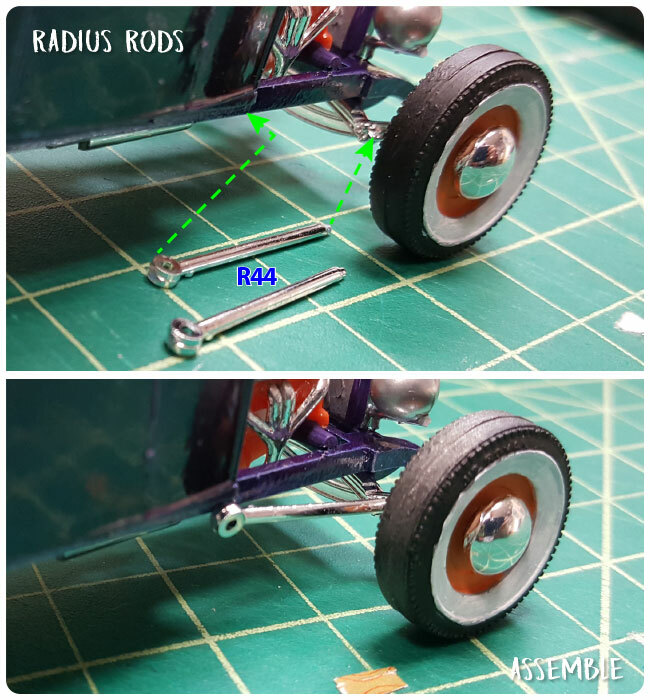 I realized the Lindberg line has many older 1:32 releases that could be kitbashed with the Show Rods. 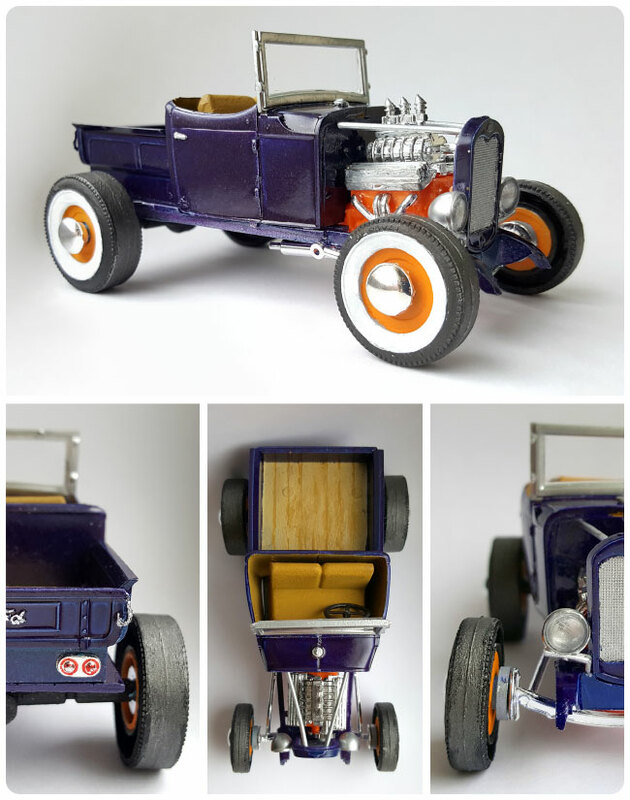 My goal is to use the parts in the new release to customize the Lindberg 1:32 1930 Ford Model A Pickup, item number 72134. 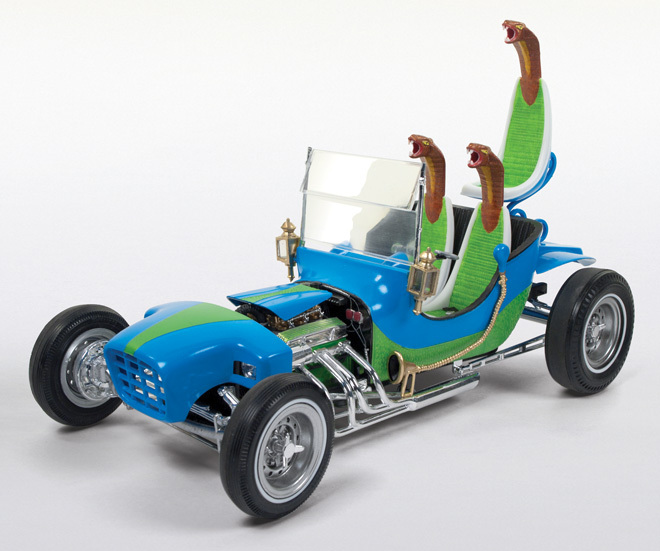 For the paint inspiration I will use the 1975 boxart of Lindberg 1:24 Freaky Ford. Check out my next post to see my progress.